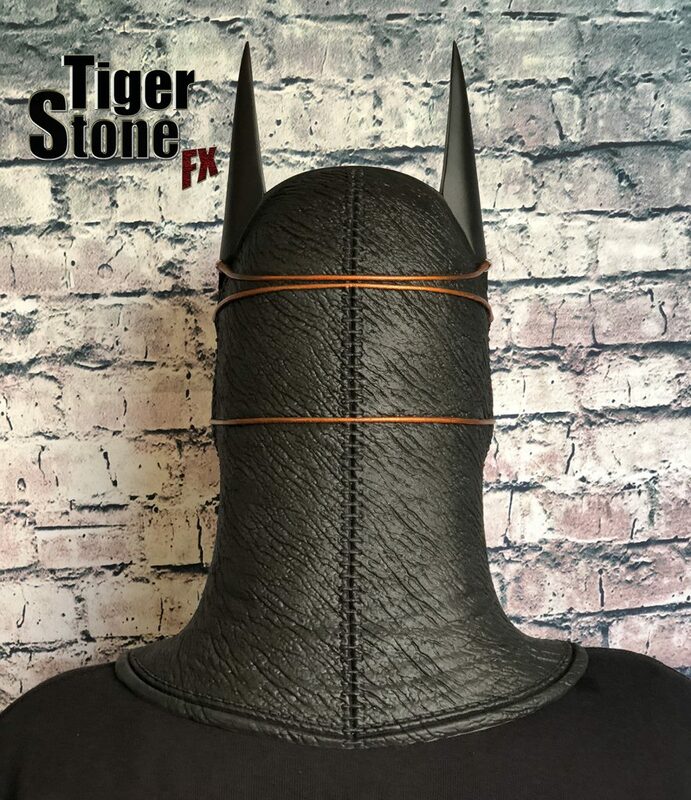 Our Batman Ninja cowl was custom commissioned by Abdulla A. from Qatar. We thought the movie looked great before we’d even seen it and we loved the designs. 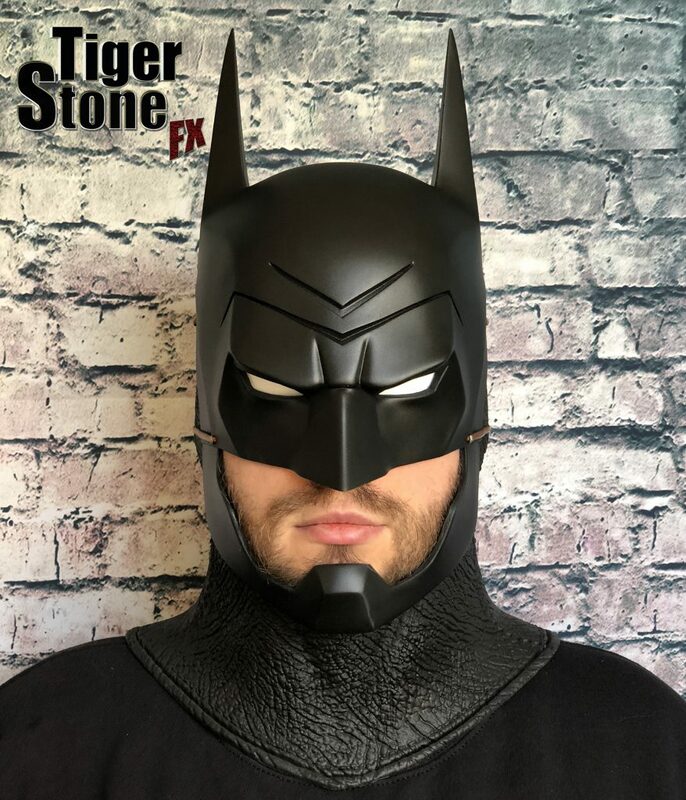 When he emailed us with his cosplay plans, we just *had* to take this on 🙂 It’s a very unique design that can actually be used for lots of Bat cosplays as the detail doesn’t *have* to be orange. It can just be left black or painted in any other color. 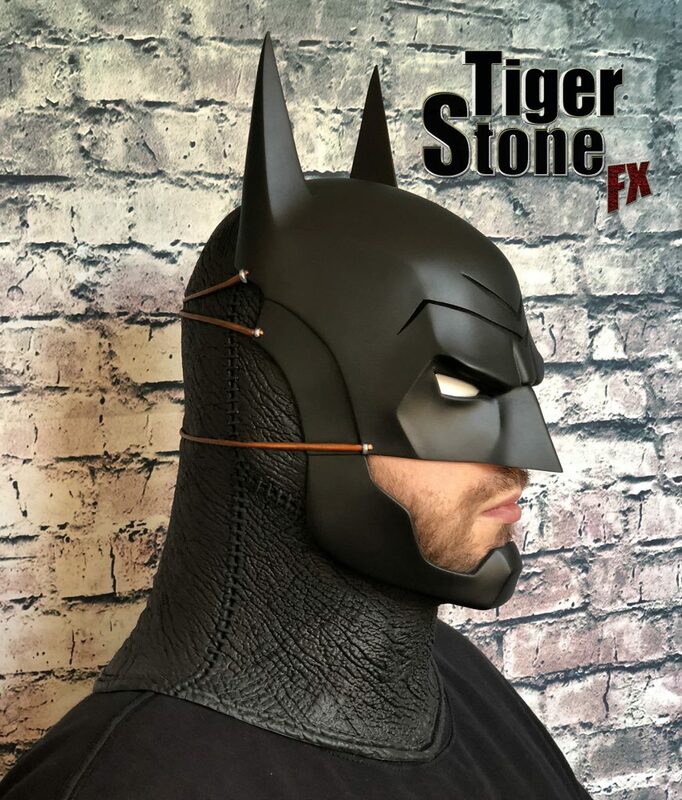 We’ve also made Batman Ninja gauntlets. 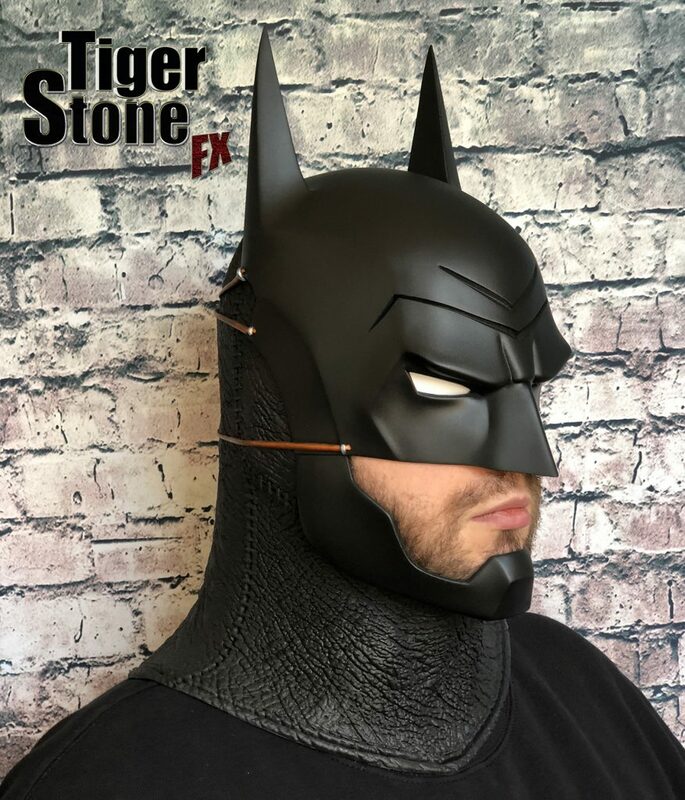 The cowl’s cast in Smooth-On VytaFlex 40 urethane rubber and the colored details are hand painted.